Type: Full threads, Partial Threads, and customized as per requirements.  Type and number of threads on bolt.  Condition of nut bearing surfaces.  Lubrication of bolt threads and nut bearing surfaces. 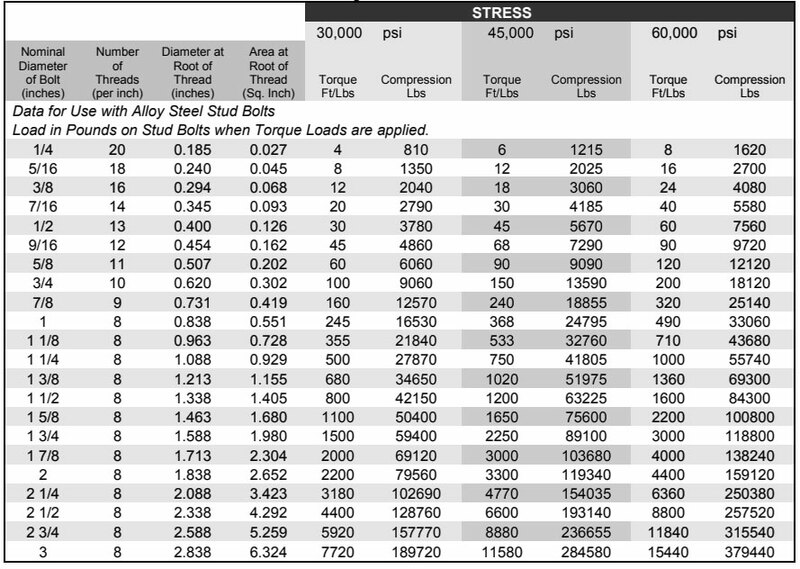 The tables below reflect the results of many tests to determine the relation between torque and bolt stress. Values are based on steel bolting well lubricated with a heavy graphite and oil mixture. 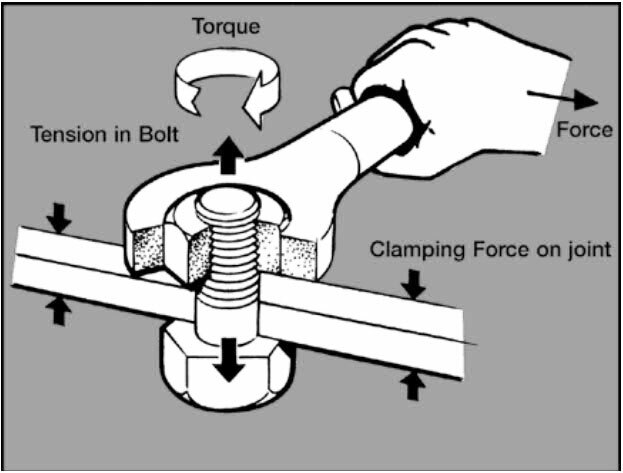 It was found that a non-lubricated bolt has an efficiency of about 50% of a well lubricated bolt and also that different lubricants produce results varying between the limits of 50% - 100% of the tabulated stress figures. Data for Use With Machine Bolts and Cold Rolled Steel Stud Bolts Load in Pounds on Bolts and Stud Bolts When Torque Loads are Applied.